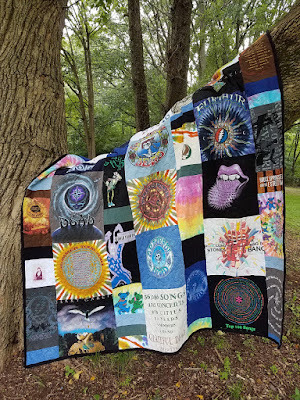 Another gorgeous quilt with a heartfelt thank you to MQBM! "This quilt is one of the most thoughtful and important presents my wife has ever received. This will always allow us to remember her mom and the love of music that she passed down. Thank you Molly."